Shangri-La Hotel, Kuala Lumpur is offering beautiful Christmas hampers, which make perfect gifts for friends and family this festive season. Christmas goodies and roast turkeys are also available, and orders can be made at Lemon Garden 2Go from 2 December to 25 December. There are four delicious choices of roast turkey. There is the traditional Roast Whole Turkey with Apple-Chestnut and Raisin Stuffing, giblet gravy, orange cranberry relish and sautéed festive vegetables and roasted new potatoes. The Roast Whole Turkey with Chorizo Bell Pepper Stuffing comes with giblet gravy, cranberry fruit chutney, sautéed festive vegetables and roasted new potatoes. You can also opt for an Asian twist to this roast turkey. Try the Five-Spice Roast Turkey with lotus rice, hoisin sauce, sautéed vegetables and roasted new potatoes. The Tandoori Turkey with Briyani Stuffing comes with pineapple dried cranberry chutney, tomato butter gravy, masala vegetables and cumin roasted potatoes. The Roast Turkey comes in three sizes. The small one at RM580 is for 4 to 6 persons, medium at RM680 for 8 to 10 persons, large at RM780 for 10 to 12 persons. Custom-made Festive Hampers make wonderful gifts at Christmas. The contents of the hampers have been thoughtfully selected to reflect the Christmas spirit. 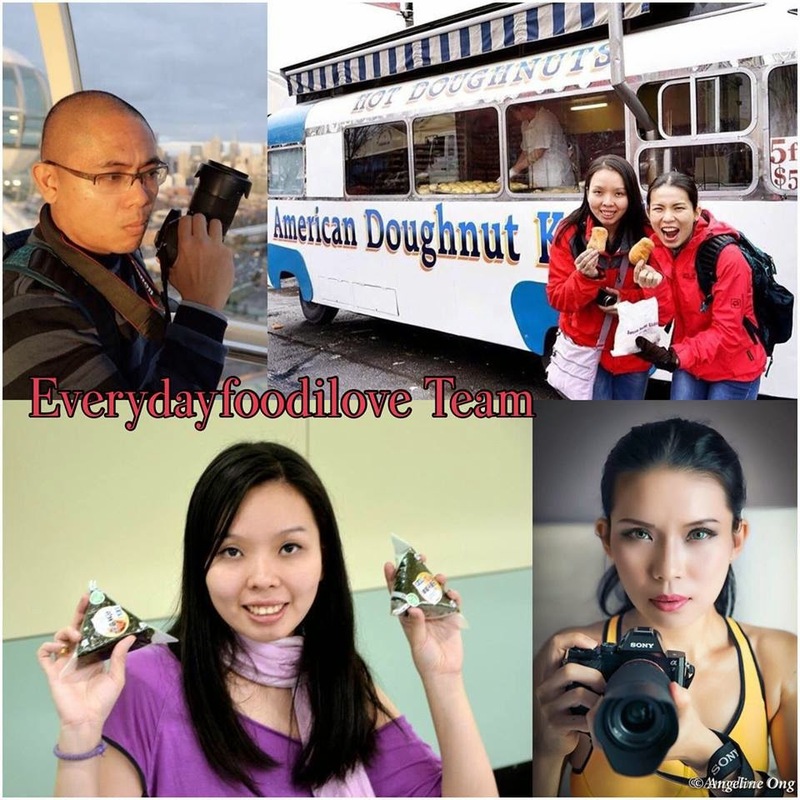 There are three types of hampers – Premium at RM888nett, Deluxe at RM588nett and Festive Joy Hamper at RM388nett. In the Premium Hamper, there are Traditional Stollen with Marzipan, Christmas Fruit Cake, Christmas Cookies, Christmas Pudding, Home-made Pralines, Rustic Mince Pie, Elisen Lebkuchen, Chocolate Santa Claus, Panettone, Chocolate Santa Boot, Bonne Maman, Illy coffee beans and champagne. 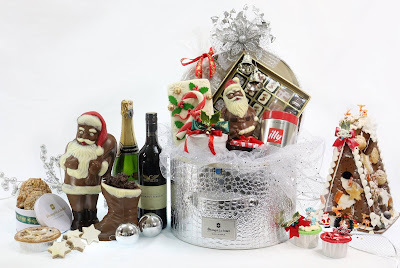 The Deluxe Hamper has most of these Christmas treats, and a bottle of red wine, while the Festive Joy Hamper comes with a bottle of sparkling juice. 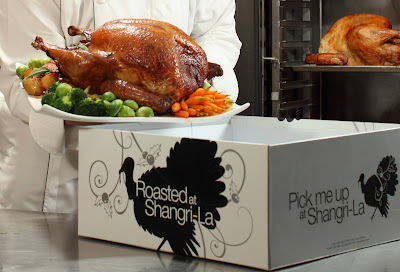 To place an order for the Christmas hampers, goodies and roast turkeys, call Lemon Garden 2Go at 03-2074 3546 or visit HYPERLINK "http://www.shangri-la-specials.com" www.shangri-la-specials.com. Hong Kong-based Shangri-La Hotels and Resorts currently owns and/or manages more than 90 hotels under the Shangri-La brand with a room inventory of over 38,000. Shangri-La hotels are five-star deluxe properties featuring extensive luxury facilities and services. Shangri-La hotels are located in Australia, Canada, mainland China, Fiji, France, Hong Kong, India, Indonesia, Japan, Malaysia, Maldives, Mongolia, Mauritius, Myanmar, Philippines, Singapore, Sultanate of Oman, Taiwan, Thailand, Turkey, the United Arab Emirates and the United Kingdom. The group has a substantial development pipeline with upcoming projects in Mainland China, Cambodia, Hong Kong, India, Myanmar, Philippines, Qatar and Sri Lanka. For more information and reservations, please contact a travel professional or access the website at www.shangri-la.com.